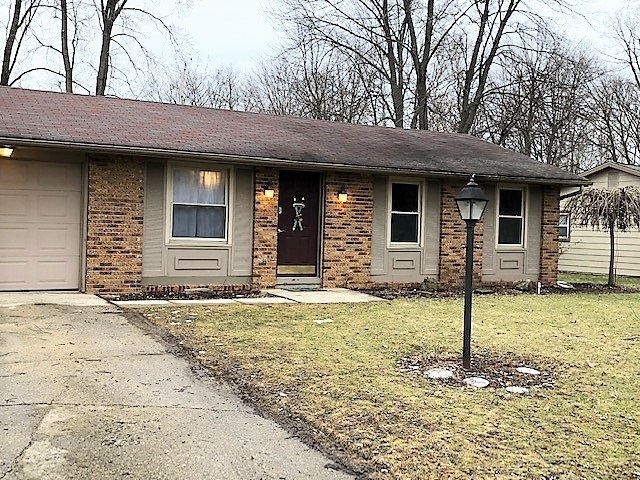 Amazing 3 bdr, 1 bath Ranch with many New Items! This home has fresh paint throughout the entire Interior 2/10/19. New carpet in LR, Family Room, hallway, and all 3 bdrs., 2/12/19. Eat-in kitchen has Laminate flooring, smooth top electric range/oven, newer dishwasher & above range microwave too! Washer and dryer remain as well in a separate area with shelving. This floor plan is light and bright with vinyl windows, ready for you!! Family Room on rear with patio doors leading to the fenced yard w Patio ready for your upcoming cookouts. Seller removed an above ground pool from the rear, so you could add another yourself easily!! Don't miss this Beauty! (Buyer #1 got cold feet w/multiple offers) This is ready to go! Directions:Maysville rd to Kern Valley Drive at 3 way stop.